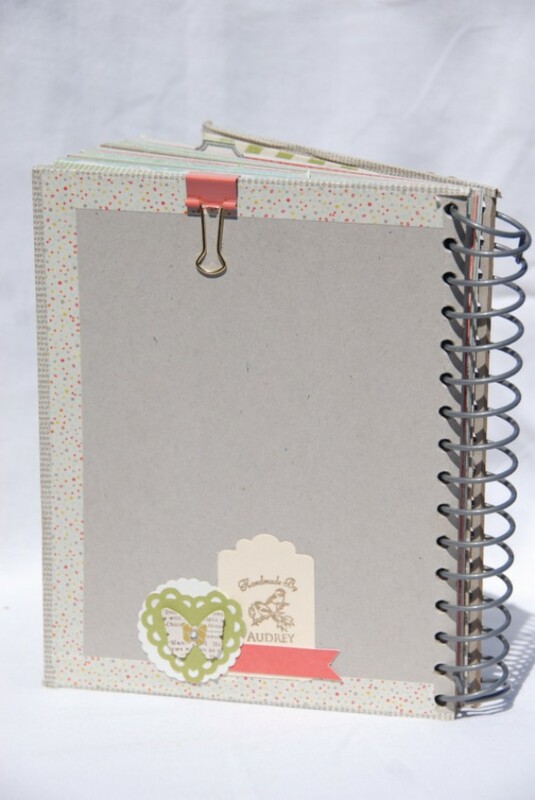 This cute little handmade journal measures 8” x 6.5” It has chipboard front and back covers, both with pockets. 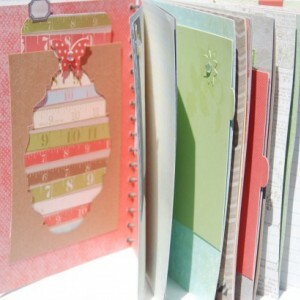 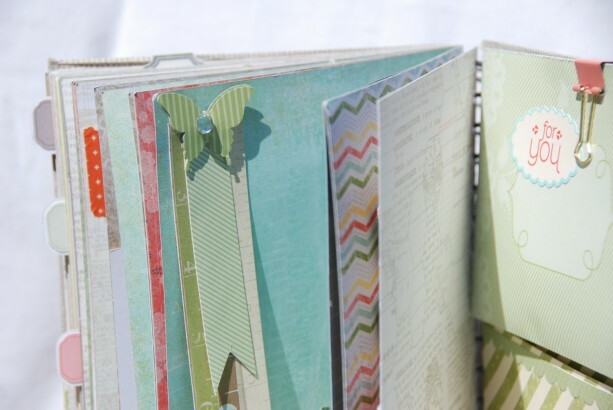 This book contains 30 assorted pages including: patterned paper, card stock, washi tape, mini paper bags. 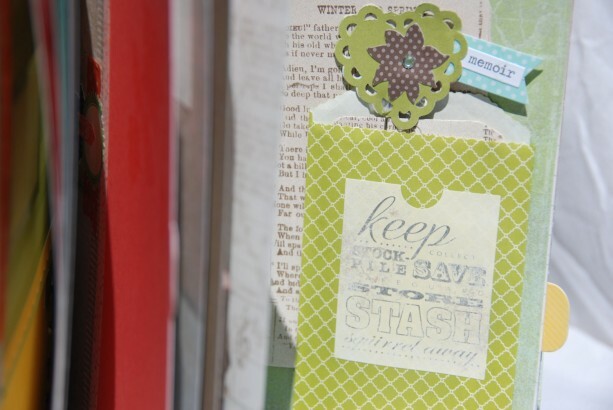 journaling tags, and paper clips. 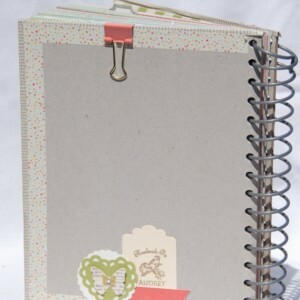 Some of the pages contain pockets, which hold tags, and journaling spots, other pages contain coordinating images, or tags with paperclips. 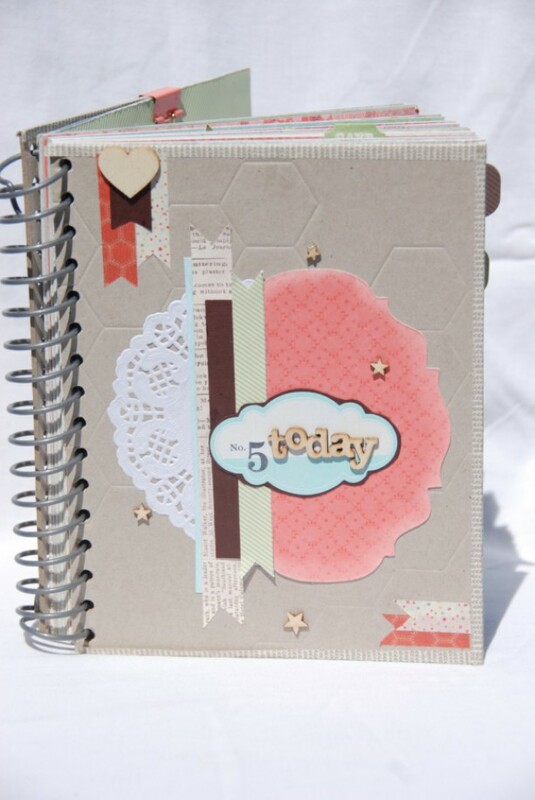 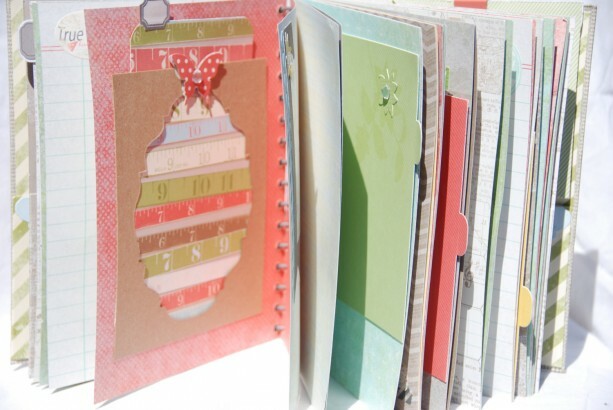 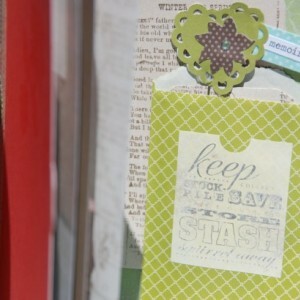 The chipboard cover is decorated with designer scrapbook paper, dimensional die cuts, and wood veneers. 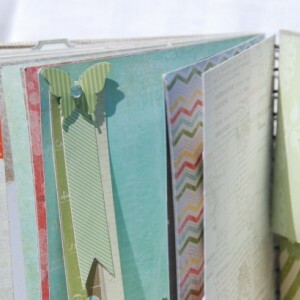 This journal would be perfect for photos, journaling or a place to keep those little random pieces of paper ephemera that are special.